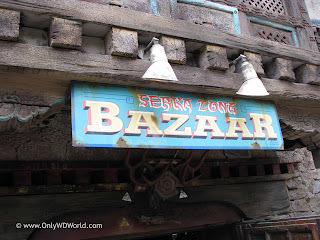 A favorite pastime when visiting Disney's Animal Kingdom is checking out all of the details that the Disney Imagineers have created to tell their remarkable rich stories. 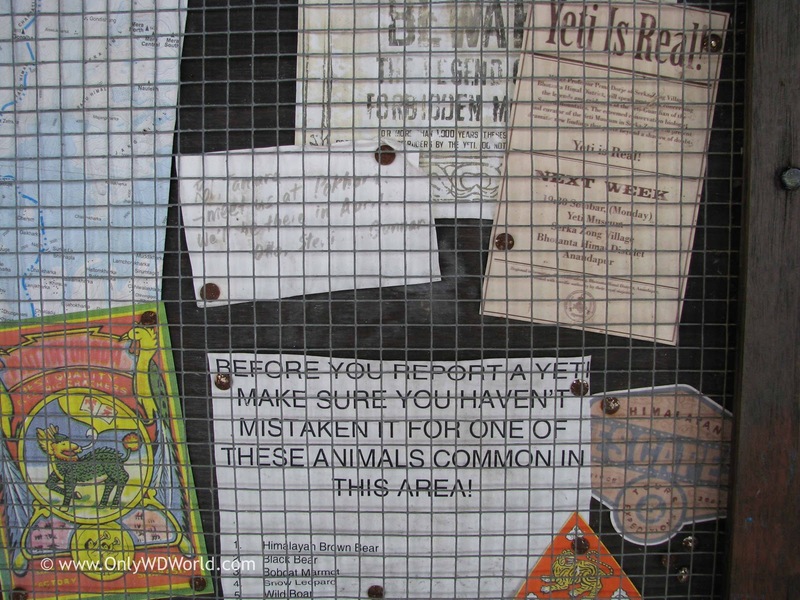 The Animal Kingdom easily surpasses all other Walt Disney World Resort theme parks in terms of details to see. In this article we will focus on just some of the many signs and postings that you may see when you tour the Asia section of Disney's Animal Kingdom (DAK). 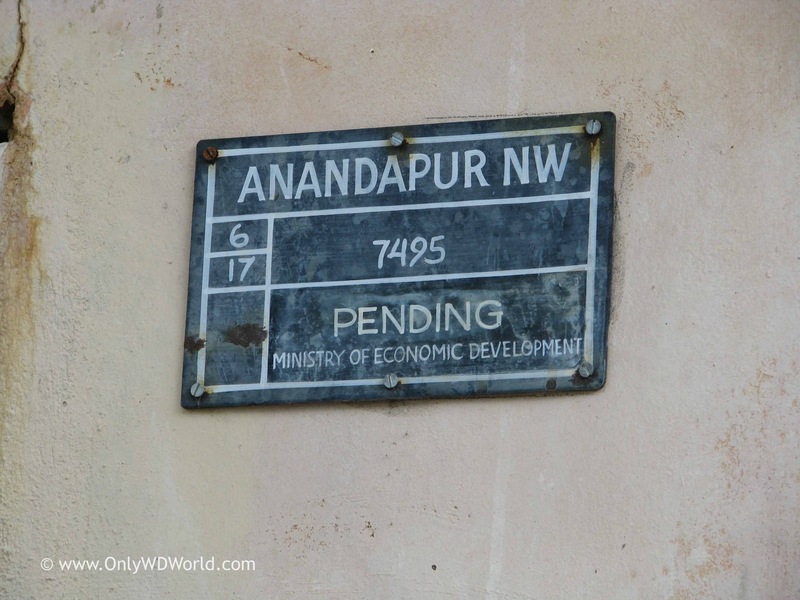 Throughout the land you will see signs that help inter-relate all of the shops and tell the story of the fictional town of Anandapur. 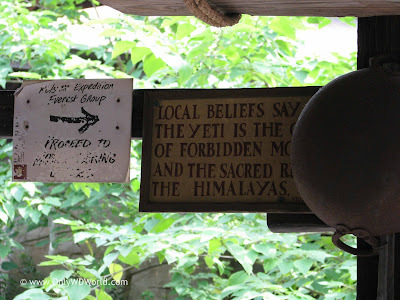 You will see how the Yeti is both the source of a Tourists coming to their town and something to be feared and respected. This aging poster denotes an upcoming seminar where Professor Pema Dorje of Serka-Zong Village will speak about the legends and evidence of the Yeti. 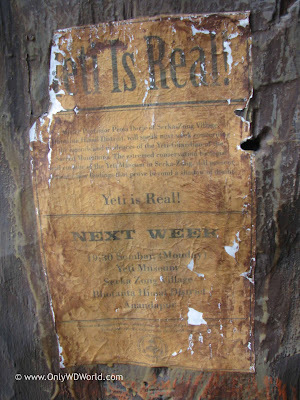 He will also present dramatic new findings that will prove beyond a shadow of a doubt - The Yeti Is Real!. 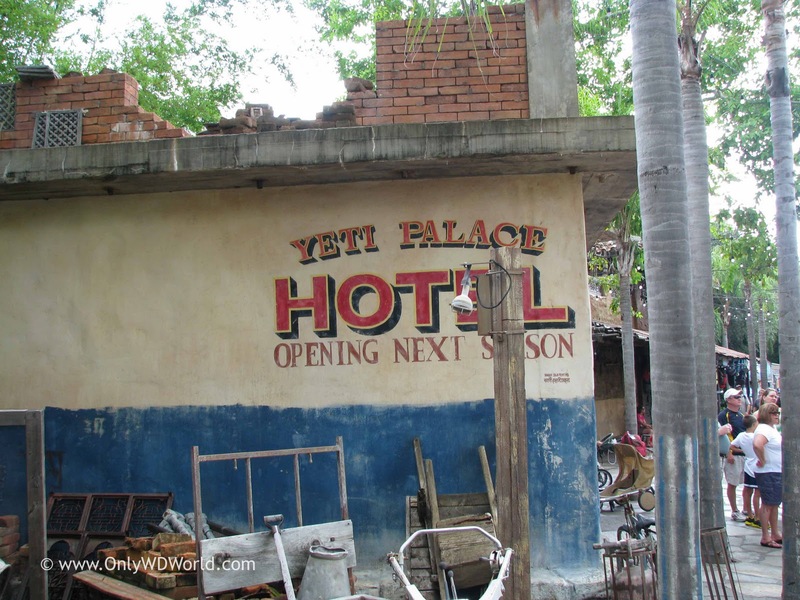 The meeting will take place at the Yeti Museum. 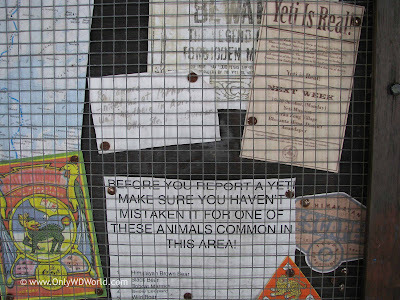 This bulletin board has many interesting things to read concerning the Yeti including a list of animals you may have seen and mistaken for a Yeti. 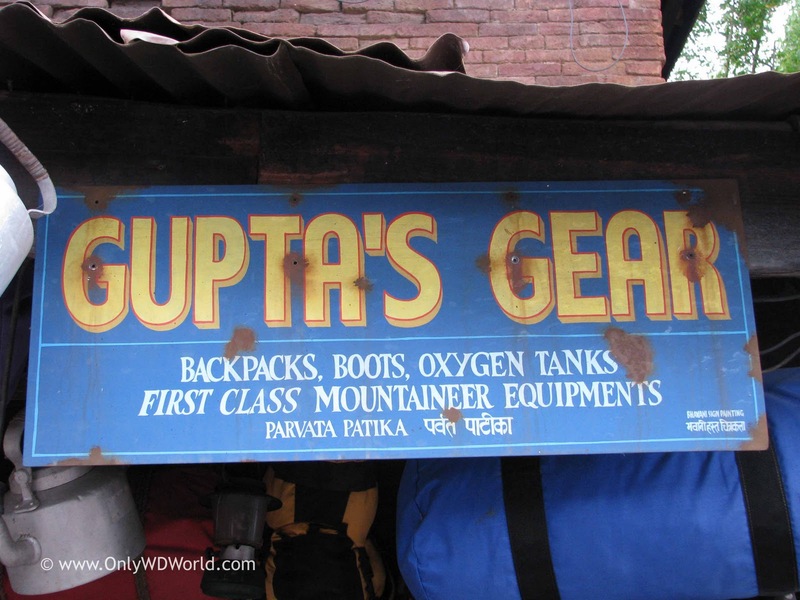 This is a sign that you will see while you are getting reading to board your train for Expedition Everest. One last warning about how the Yeti is the protector of the sacred realm. 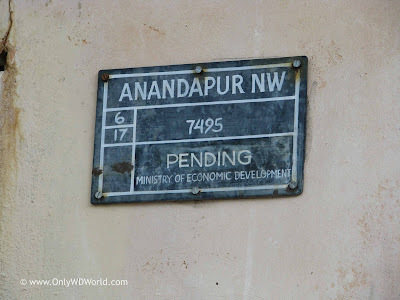 This shop sign shows that there are some modern conveniences even in the town of Anandapur. The Shangri-La Trekkers Inn also has an Internet Cafe. 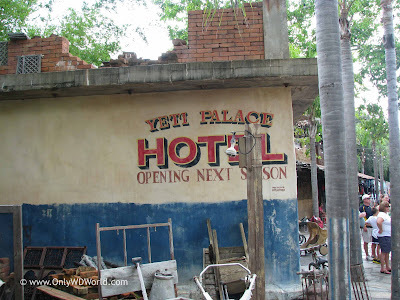 This is a sign of expansion due to all of the tourist traffic to the area. Gupta's Gear has all kinds of supplies for those about to make their climbing expedition. 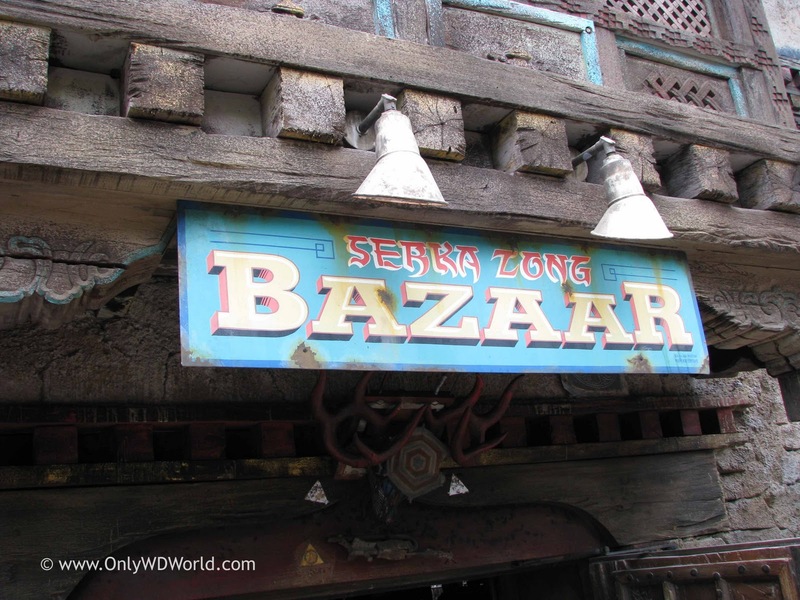 Many of the items on display are authentic items obtained by Disney Imagineers during their research trips to Asia. 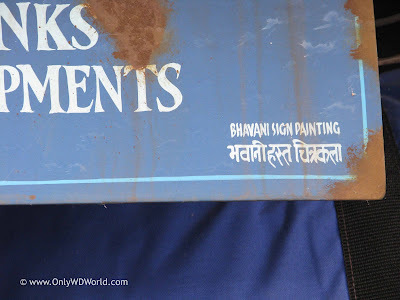 Many of the signs that you will see in DAK Asia have this excellent detail in the lower right hand corner where it denotes that they were created by: "Bhavani Sign Painting." During your next visit see how many signs you can find with this notation. 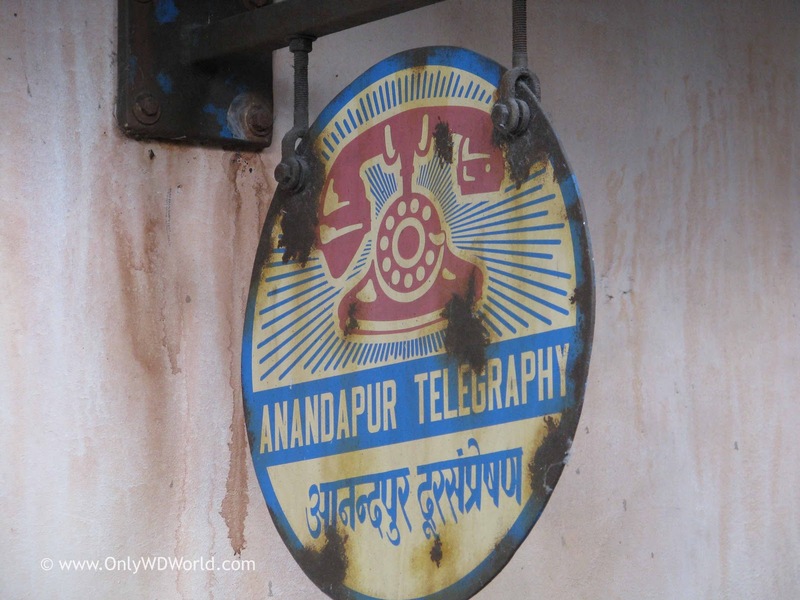 Even a simple payphone must be themed at Disney World. Here the phone has a special aged sign for the Anandapur Telegraphy along with it's logo. 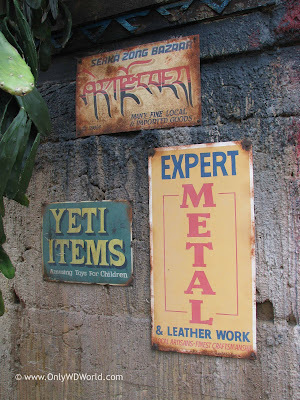 These are not signs that the Disney Imagineers just picked up in their travels. They had to design them, create them, and finally age them to fit into their "story." The sign above the water fountain reads: "Trekkers, Please use this water provided here for your convenience. 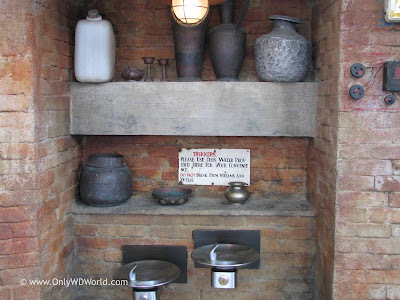 Do NOT drink from streams and wells." 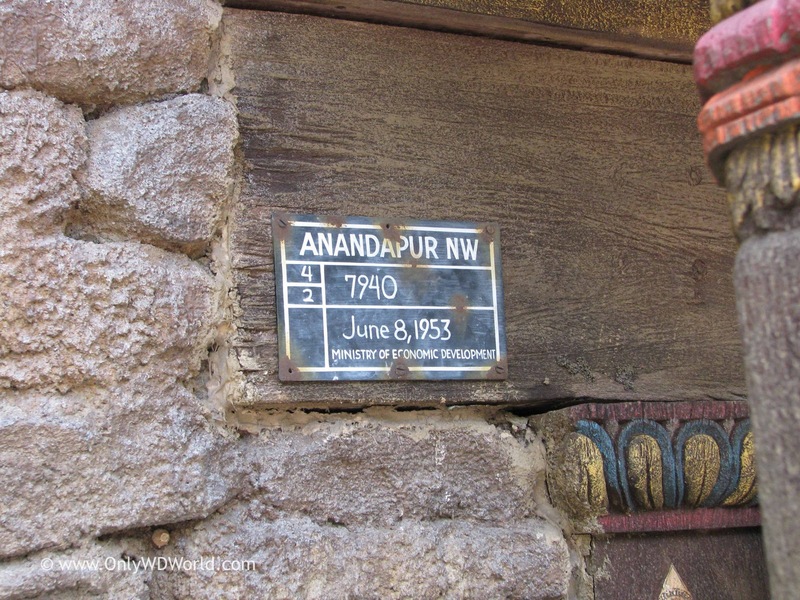 This marker sign for Anandapur indicates that this building has been here since June 8, 1953. Disney's Animal Kingdom will continue to be a favorite place to spot details that the Disney Imagineers have created. 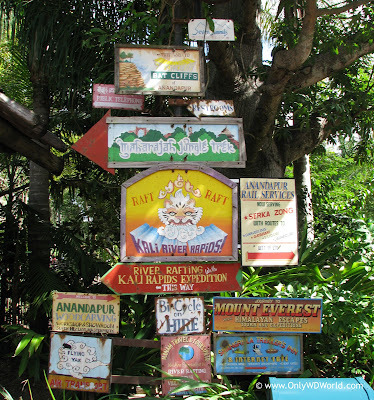 The signs shown here are but a few of what you will encounter in Asia. 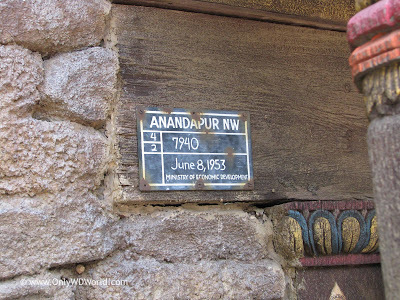 During your next trip, take the time to slow down and read the signs and enjoy some of these interesting details about the fictional town of Anandapur. 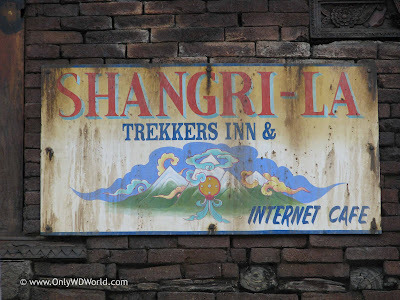 0 comments to "Checking Out The Signs In Disney's Animal Kingdom Asia"